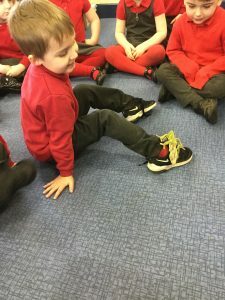 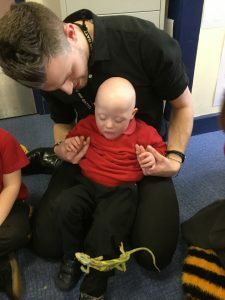 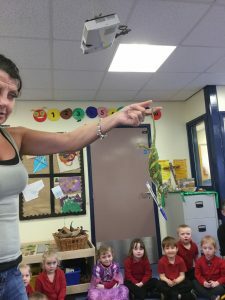 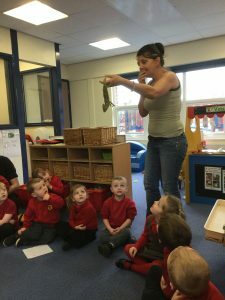 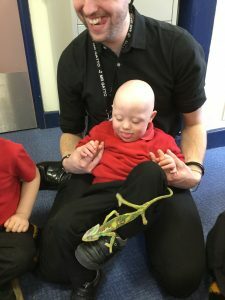 Nursery had a special visitor in to see them to help with our animals topic – Grumpy the chameleon! 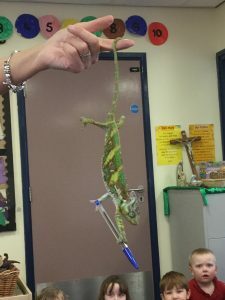 He loves to hang upside down by his tail and he can swing backwards and forwards. 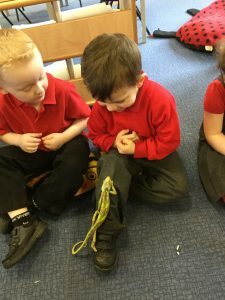 He tried to steal Mrs Hedley’s pen, he has a very strong grip! 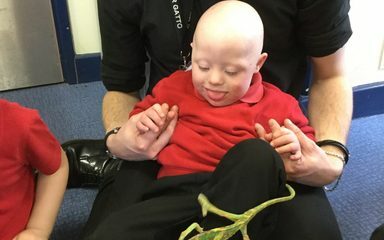 Mason knew that the lizard was a chameleon and that it can camouflage itself, what a super star! 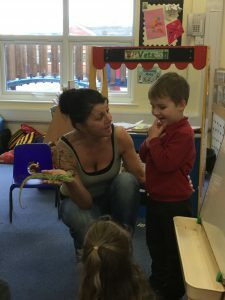 Some people were brave enough to let Grumpy sit on their leg. 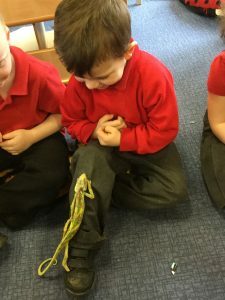 We had so much fun meeting Grumpy, we hope he can come back soon!